How Much Longer Can Your Heating System Last? The warm weather is moving in, and although we can’t rule out a few more surprises in our local weather, we’re almost at the point where heating systems in homes will shut down for the season. Once you no longer have need of your home’s furnace, heat pump, or boiler for the foreseeable future, it’s good to assess its performance over the last winter and ask the big question: How many more years does this system have left in it? If you have reason to suspect that it may not make it through the next winter, now is one of the best times to arrange for a professional to replace it. Spring is a less busy period for HVAC technicians, and you’ll have plenty of time to think over your options and make the best choice. Posted in Heating | Comments Off on How Much Longer Can Your Heating System Last? Could Your Furnace Be Unsafe to Run? Concerns about the safety of natural gas furnaces are common. We often have customers ask us if it’s really safe to have a natural gas furnace in their home. The first thing we tell people is that gas furnaces are the most common type of heating system found across the U.S. If furnaces had any type of bad safety record, they wouldn’t be allowed so extensively into homes. The manufacturers of modern gas furnaces are required to design their systems with numerous safety features and to meet many national, state, and local requirements. When you see the ENERGY STAR label on a furnace, it not only means the furnace meets the standards for energy conservation, but it was also built to meet demanding safety standards. 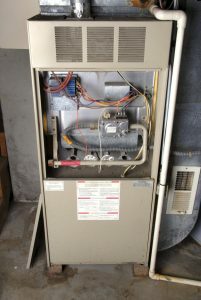 Posted in Heating | Comments Off on Could Your Furnace Be Unsafe to Run?